The Bachelor of Arts in Music in Liberal Arts degree is designed for those students with the specific wish to be as versatile in their collegiate experience as possible, with the result being the creation of an extremely well-rounded musical experience. This degree also gives students the opportunity to be involved in a lot of different ensembles, delve into a number of different musical arenas, as well as combine their music with other majors from around the campus. Career paths in Music Theory, Business, History, Therapy, and Performance can be developed. No audition is required for acceptance into this program. 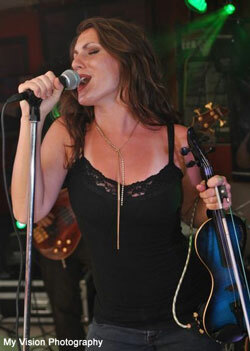 Currently touring throughout the world as a live entertainer, she also teaches private violin and viola (specializing in the Suzuki method) as well as voice lessons. She also performs as a leader with the Sound Express Band as a featured soloist because of her classical training combined with her extensive experience in other genres such as jazz, rock, country, and pop. “The mother, Diana, powerfully portrayed by Jessika Brust, is suffering from a mental disorder, and her entire family is affected by it… Stellar performances and great vocal talents…” – Susie Potter – TIP’s Triangle Premiere of “Next to Normal” Is Far from Perfect, Due to Ser. “Jessika Brust leads the impressive cast, her strong voice and finely shaded acting making Diana an extremely vulnerable and sympathetic character.” – Roy C. Dicks – TIP handles tough topics in “Next to Normal” gracefully. Currently living and working in Japan, Andre has taught music in the public schools, is the leader of the band Odd Cardinal, performing his own songs and recording his music himself as result of taking Music Production & Recording Arts classes (then called the Music Technology major). 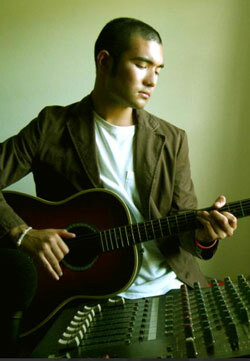 Andre is a multi-instrumentalist, playing guitar, keyboards, bass, and voice. His interests range from 80’s synth pop to avant-garde classical music. His first album, Metropolis Moonis available on iTunes. 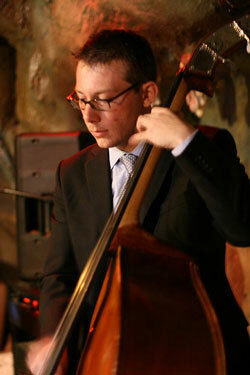 Winner of the Louis Armstrong Jazz Award, bassist Kevin Pace is gaining the attention of the straight-ahead jazz scene. He has performed with musicians such as Gretchen Parlato, David “Fathead” Newman, Freddie Redd, Jon Ozment, Steve Fidyk, Steve Abshire, John Jensen, and Greg Hyslop, a four-star recording artist in Downbeat Magazine. Pace has toured throughout Germany and Austria as well as in his own area, including a several spots at the East Coast Jazz Festival, where he returned as an assistant clinician for the 2002 festival and as a member of the Adam Janjigian Quartet in 2004 and 2005. Among other projects, Pace has completed the soundtrack for “How To Carve A Pumpkin” (Beardog Productions, 2004), an independent film by Rady Large. As well as being an active jazz musician Pace has become one of Maryland and central North Carolina’s most reliable freelancing bassists performing in the orchestra of the Long Leaf Opera Company of Durham North Carolina and in pit orchestras for musicals such as “Urinetown”, “A Chorus Line”, “The Music Man”, “Company”, and over thirty more throughout the East Coast. Pace earned his B.A. in music from Elon College and has completed a MM in jazz performance at the University of Maryland.